Trying something new can be difficult for all of us. 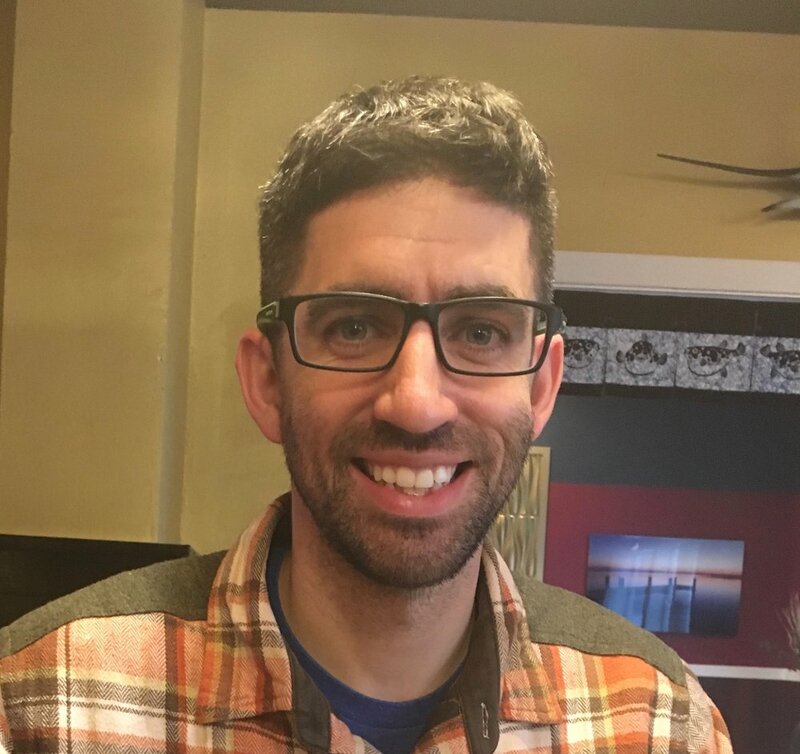 Daniel Akamine, one of the Bobcat Learning Center Staff members reflects on watching the middle school students move outside their comfort zone. For Spring Break, the Bobcat Learning Center took a group of Jason Lee Middle School students to Climb Tacoma, which is an indoor bouldering gym. All of the students got the opportunity to boulder and took the leap of faith to overcome the mental and physical challenges of bouldering. During this outing you could hear many of our students positively encouraging each other to figure out new routes on the bouldering wall as well as provide tips to each other to reach their bouldering goals. Many of our students were not afraid to ask for advice from experienced climbers, such as Brian Doyle who is one of the founders of Climb Tacoma. Brian and Climb Tacoma staff members provided a welcoming and supportive environment for the Jason Lee students. As a staff member at the Bobcat Learning Center it was inspiring to see Jason Lee students who had never bouldered or climbed before step out of their comfort zone and try something unlike the traditional sports they are used to. On Saturday, April 27th at 9:00AM, come to Trinity and help us pack up the church for our big move and construction project!! We need trucks, dollys, and ALL HANDS ON DECK! If you're able to do anything from packing boxes or carrying couches, we need you! Click here to let us know you’re coming! We’ll have church in the space until May 12th, but we are going plastic-bin style for those last few weeks. What Feeds Your Faith, Mark? During the season of Lent, various members of Trinity’s community will share what has nurtured their faith during their life’s journey. This week, we hear from Mark. For the last few years, I’ve been consumed with CS Lewis’ The Great Divorce. Lewis’ depictions of Heaven and Hell are so practical and play out in our daily interactions with one another. The characters and stories both inspire me, and quite frankly haunt me. One encounter is illustrated in chapter 4, when a man encounters a heavenly figure on the road to Heaven. It turns out this heavenly figure was a murderer and the other a self-described righteous man. The irony is the murderer, who has embraced his redemption, is to help the self-righteous man understand the ways of Heaven. However, the self-righteous man is insulted by this requirement and states “I’d rather be damned than go along with you”. This past week, my oldest son, Luke, and I were talking through the Lenten youth study questions and were talking about the “Parable of the Prodigal Son”. A question is posed why this parable is sometimes described as the “Parable of the Two Lost Sons”. We explored together how each son could be “lost”, including the more responsible and dutiful older brother. Luke thoughtfully replied, “He is lost in his jealousy”. What Feeds Your Faith, Pat? During the season of Lent, various members of Trinity’s community will share what has nurtured their faith during their life’s journey. This week, we hear from Pat B. In a time when people are insatiable in their drive for the newest technology, Pat reflects that what feeds her faith is the ancient practice of scripture memorization. These commandments that I give you today are to be on your hearts.7 Impress them on your children. Talk about them when you sit at home and when you walk along the road, when you lie down and when you get up. Smartphones have given us quick access to the Bible and daily devotionals, so it can be easy to forget the importance of memorizing scripture. Each week during the school year our kids memorize a bible verse, and we, as a family, have two scriptures that we get to reflect on together throughout the week. In a decade where technology is disrupting every aspect of our lives, reflecting on scripture is a great way to feed our faith. As a parent, we don’t have a full appreciation of struggles our kids will face each day, but what we do know is that having Scripture hidden in their hearts can help them face whatever life, and technology, throws at them. God is with them every step of the way. - Pat B. What Feeds Your Faith, Emily? During the season of Lent, various members of Trinity’s community will share what has nurtured their faith during their life’s journey. This week, we hear from Emily C.
I have two things that have fed and nurtured my faith tremendously in the last year. I know I was supposed to pick one, but both have been so tender to me that I can’t leave one out! Author Rachel Held Evans has been a very important voice in my life as I have gone through the process of my faith being deconstructed and yet never being able to walk away from the Truth of the message of Jesus and the radical story of God told throughout the history of God’s people. Rachel has never shied away from asking hard questions or acknowledging her doubts. 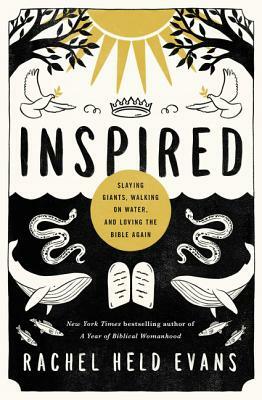 In 2018, Rachel wrote a new book called “Inspired: Slaying Giants, Walking on Water, and Loving the Bible Again.” If you, like me, sometimes wonder what you’re doing here… If you, like me, can’t quite disentangle yourself from the hope and the doubting… If you, like me, could use an honest and endearing peek back into some of the most familiar stories in the Bible, this book might be something that feeds your spiritual life. Singer and songwriter Andrew Peterson has written some of our family’s favorite music over the last few years. If you’re a parent of littles and you don’t have Slugs & Bugs (Andrew Peterson and Randall Goodgame) in your life, do yourself a favor and go buy or stream them straight away. In 2018, Andrew released a new album called “Resurrection Letters: Volume 1.” The whole album is good, but the song “Is He Worthy” has been almost a daily centering ritual for me over the last several months. The simple words and elegantly composed choral arrangement feed my soul no matter how joyful or weary it may be. It’s honest, beautiful, and hopeful. We are so grateful for the support of Deacon White, and all the other volunteers who offer their time and talent to Pat’s Closet. The many hands involved allow us to sort more clothes and build more relationships with the people who come through our doors. Thank you again, Deacon White, for all your years of service! We are so grateful to have you on the team! Click here to learn more about Pat’s Closet. You are also welcome to visit Pat’s Closet on Thursday nights from 5 - 7 PM, or Friday afternoons from 1 - 3 PM. Have items to donate? Drop by while Pat’s closet is open, or during office hours to contribute. During the season of Lent, various members of Trinity’s community will share what has nurtured their faith during their life’s journey. This week, we hear from Don B.
I left the church and abandoned my faith from the ages of 18-41. In that period of my life, I focused too much on those voices in the church that equated the American dream with the embodiment of Christianity. I told myself that if that is what Christianity means then I wanted nothing to do with it. Fortunately, Christ’s spirit is so much bigger than any small minded notion of “religion” that I literally fell to my knees in 1991 and begged God to open my heart to his truth. I am hoping that a few of us can meet during Lent ,perhaps as part of a dinner group, to listen carefully to each other, to hear each other’s stories, and to delight in discovering the truths that set us free. The value of sharing time in this book and gathering in community is not to agree with everything that Walton says but to have a meaningful, reflective, honest conversation about how the culture that we all live in affects our ability to truly carry out the Gospel and build God’s kingdom. Why Would 20 Teenagers Fast for 38 Hours? Julia Corbett, Director Children, Youth & Family at Trinity. Reflected with gratitude, on her 38 hours with hungry teens. 20 Trinity teens and 6 adults spent last weekend Fasting for Honduras. They went for 38 hours without food as they learned about 1500 of their brothers and sisters in Christ who live, work and have families in the garbage dumps of Tegucigalpa. They fasted for 38 hours and prayed for children as young as age 3 who spend their childhood scavenging the mountains of poisonous waste for food and items they could salvage. The teens participated in a poverty simulation where they were asked to enter the experience of these children: the activities they had to do and the decisions that faced them every day. The participants of the Fast discussed the plight of the multitudes of Hondurans who are walking to the US border seeking hope and a future. They visited the Northwest Detention Center in the Tacoma tide flats and prayed for the 1500 detainees who are held there. During the Fast, Trinity teens heard about an amazing ministry that brings hope, light and love to the children of Honduras: Amigos de Jesus is a home for abandoned and abused children that provides for their physical, emotional, spiritual and vocational needs. Trinity’s own Julie Q., who has been deeply invested in the ministry for years introduced our youth to the 120 children who live, go to school, learn valuable farming and metal work skills, and just get to be a kid at Amigos de Jesus. Nalani L. shared her experience visiting Amigos and being inspired by their faith and hospitality. Thanks to the Trinity community who kept us in prayer! 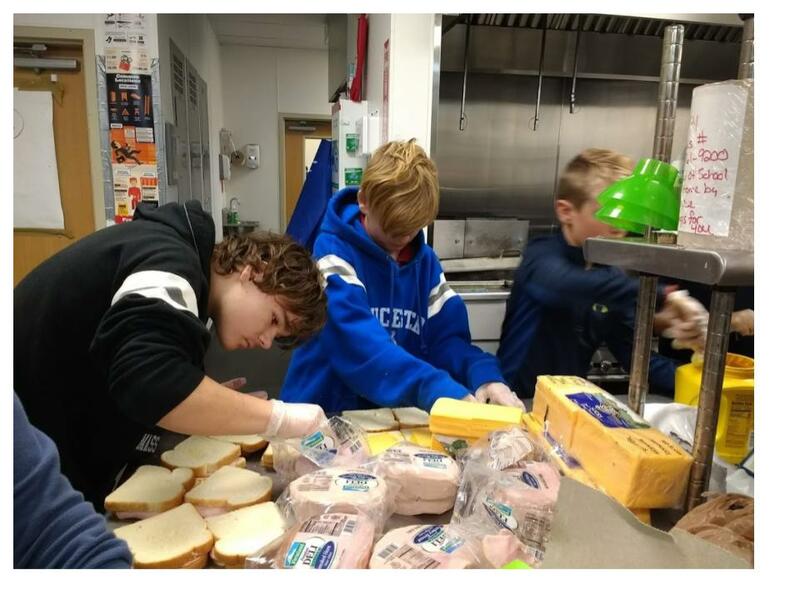 Please consider supporting our teens and their efforts by donating to Amigos de Jesus following this LINK. Sunday, February 10th, at Trinity’s Annual Meeting, the Nominating Team will bring the following nominees to the congregation for election as Deacon and Elders. Elders exercise leadership, government, spiritual discernment, and together have responsibilities for the life of the congregation. The active elders form the Session who is the governing body of the church. CHAD MCCANN Chad and his wife, Emily, have been attending Trinity since 2006. They now have two girls, Ela and Cleo, who will be raised here. Chad has played percussion for worship for years and finds himself doing many oddball jobs around the church. DEB LLEWELLYN A “never-at-home mom” who served on many boards and volunteered at schools and community organizations, Deb is passionate about hospitality, Tacoma, and social justice and loves that Trinity shares these values. Married to Tom, Deb has been at Trinity since 2004: Ben (26), Abel (22), Bizayehu (19) and Genet (16). CRAIG ARMSTRONG Craig and his wife, Christine, have been members at Trinity since 2004 after being won over by Harlan Shoop and the wonderful congregation. They have one son, Eli, who is 14. Craig has served on the Trinity Personnel Team for the past 3 years. “I am honored to be nominated and excited to grow as personally as the church moves forward and I hope to contribute anyway I can." CHERYL HILLIS Cheryl and her husband, Mark, have attended Trinity for almost 30 years of their 34 year marriage. They came to Trinity with the Hunters and raised their four boys here. “I am beyond grateful for how God has used Trinity in my life to "see" God moving in love towards me and this community. Micah 6:8 has always been a favorite verse of mine.." the Lord has told you what is good... To act justly and to love mercy and to walk humbly with your God"... I am humbled and thankful to serve Trinity as a deacon and this verse will be my prayer. SUZANNE ANNEST A mother of two grown daughters and a proud grandmother, Trinity has been Suzanne’s church home for the past 16 years. 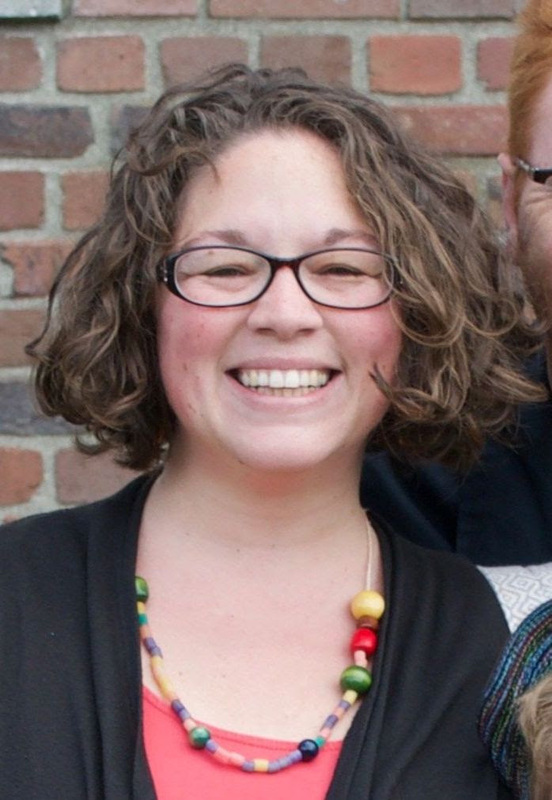 This is a reflection written by Melissa Yager who serves at the Interim Front Door Ministry Coordinator at Trinity. My favorite part of assisting with the Front Door at Trinity and being the steward of this ministry is all the neighbors I get to meet. I often walk to Trinity and get to chat with our neighbors, especially those who live at the Salvation Army. One new neighbor I have become friends with first came into the Trinity House office during the fall. Mrs. M. is in her late 60s and has been living at the Salvation Army for a while. She was behind on utility payments from her old apartment and could not come up with the back payment to clear her account. This overdue bill was preventing her from being placed in an apart. An amount of money that felt astronomical to someone who is on a fixed income, was within our Front Door budget. Today, as I was walking to the Trinity House, Mrs. M stopped me on the road and told me she had been accepted to move into an apartment and she would be moved in by the end of the month! She was so happy. I am also so happy that I got to be apart of Mrs. M's life and joy in this way. Thank you Trinity Family for caring for your neighborhood in this amazing way. After trying the Godly Play curriculum in Sunday school for about a year and falling in love with it, we had drained our children’s ministry budget on first set of expensive wooden pieces for the basic Godly Play stories. That’s when God gave us Loren. I remember going to his house for the first time in Purallup, bearing the expensive wooden Noah’s Ark we had bought hoping that seeing it might make it easier for him to decide whether he could possibly replicate it and other projects for a smaller cost. Born and raised in Minnesota, Loren spent most of his life fixing cars or ground equipment in airports. In 1989, after retiring from his 40 year career with Northwest Airlines, Loren took up woodworking as a hobby. I held my breath in anticipation of what he would say. Four years and hundreds of wooden projects later, I continued to make regular trips to Loren’s to pick up boxes and boxes of beautiful wooden pieces he had created for Trinity’s kids. He would accept no money from the church for his time or his materials. He did it for the love of woodworking and the love of our children at Trinity. One of my last trips to his home, Loren showed me to his bulletin board. “This is my most precious possession,” he said pointing to a thank you card that MaryEllen, a child at Trinity, had made for him during his visit to Trinity. Last Sunday, as our Sunday school kids made get well cards for him, Loren went to be with Jesus. On his side table, next to his phone and a cup of water, sat a card I had sent him with the photo of the Nativity scene he had made for Trinity. “Creating things for your kids is what kept Loren going after his wife passed away,” I heard from his granddaughter Wendy, who painted the Nativity scene as well as helped with many other of Loren’s projects. “Thank you for everything,” is the last thing I heard Loren say to me over phone. But it is Trinity who is thankful for our friend, Loren - for his skill, his faith, his dedication and generosity! Each Sunday at Trinity, as children work with the wooden, “hands on” materials that is central to each lessons, the loving hands that took the time too carve each and every piece will be a part of their journey in faith. 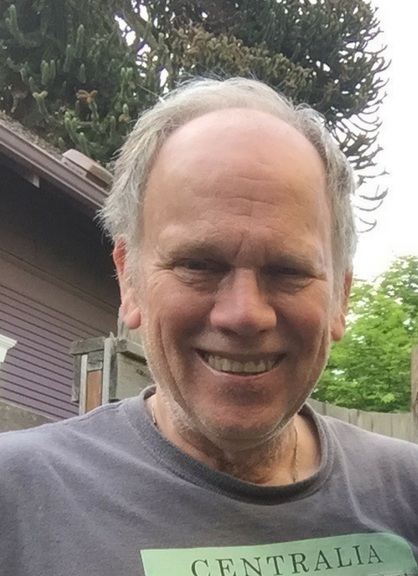 A reflection by Julia Corbett, Children, Youth and Family Director at Trinity on her four year friendship with Loren Peterson. One of my favorite sections of scripture is Revelation 7, where John the revelator prophecies of a “great multitude that no one can number, from every nation, from all tribes and peoples and languages, standing before the throne of God” and praising him. At the UNITE retreat, we get a foretaste of what it might be like to be caught up in that unity of praise. 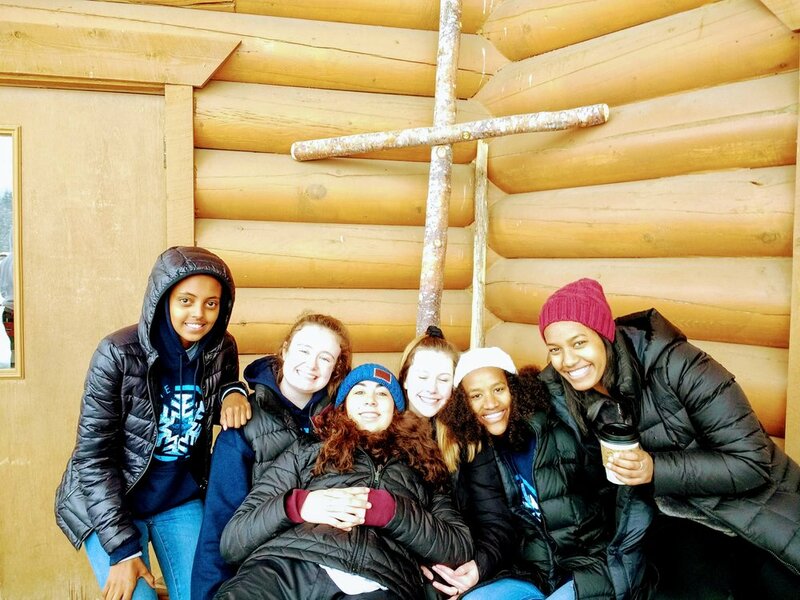 Teens from the greater Seattle area of different ages, ethnicities, and economic backgrounds gather together in the snowy woods of the Cascades for 4 days of worship, games, delicious food, and play in the snow. Each morning and evening we gathered and were led in worship by the UNITE band. Following the band, our speaker for the weekend, Paul Patu of Urban Family Seattle gave us rousing talks about how much God likes us and how much God loves us. It was beautiful to watch teens from all different background learn from each other, and worship alongside each other. When we weren’t in worship we were most likely outside playing in the snow. We had a snowman building competition, and plenty of free time to go snowshoeing, cross-country skiing, or snow tubing. Students also loved staying inside and warm by the fire or playing card games with new and old friends. My favorite part of the whole weekend was watching our Trinity students laugh and joke with each other and others,especially on the last night during the annual skit competition. This year students had to combine a Christmas movie, a popular song, and Psalm 139. The result were hilarious skits such as a remixed version of How the Grinch Stole Christmas with the Disney hit song “We’re All in This Together” mixed in. Our teens had a blast! Despite the lack of sleep, I’m already looking forward to next years UNITE retreat and watching God again give us a foretaste of the kingdom of God breaking into our world through this amazing weekend in the snowy mountains. We are excited to announce the hiring of our new Trinity Neighborhood Clinic Director, Jessica Williams, RN. 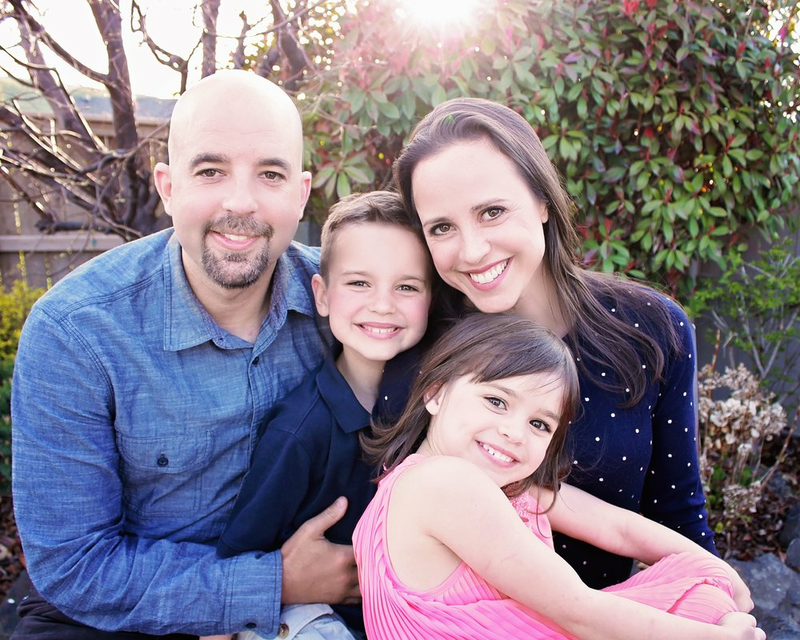 Jessica is currently finishing her Bachelor of Science in Nursing and Healthcare Leadership at UWT, and is also works at Seattle Cancer Care Alliance. Jessica says, "When I moved from Seattle to Tacoma in September of 2017 to complete my nursing education, I couldn’t have anticipated the difficulty of acclimating to my new city. The Trinity Neighborhood Clinic has been an integral part of making me feel welcome and valuable in my community and I look forward to welcoming others, both patients and volunteers, in the same way that I was welcomed." Monday - Thursday, the Bobcat Learning Center provides homework help and enrichment activities for their students. These enrichments range from cooking, to Leadership, to Japanese Club, to Skateboarding! Read on to hear about the BLC’s partnership with Alchemy Skateboarding. If you’re going to visit the skateboarding enrichment at the Bobcat Learning Center, you need to be ready to dodge. Learning Center Staff, Daniel Akamine, takes a dozen or so students from Jason Lee Middle School to visit Alchemy Skateboarding once a week after school. Alchemy Skateboarding is a local nonprofit on the corner of South 7th and St. Helens, featuring a skate shop and over 2000 square feet of indoor skate park, perfect for skateboarders of all ages to learn the ropes, even in rainy Washington weather. Learning Center Staff, Daniel Akamine, supports a LC Student trying something new. When you first walk into the skatepark, it’s best to be light on your feet. Students are practicing their balance on the lowest ramp over here, other students are gliding up and down the half pipe against the back wall, and there stands a line of middle school students, waiting for Mr. Daniel’s support while they attempt something new. Every so often, someone yells “board!” and riderless skateboard shoots across the room. Everyone wears a helmet, but keep your eyes and ear open to avoid a bruised shin. When this partnership was first getting off the ground, Daniel was excited to begin. “I owe it to Alchemy for getting this partnership started because there have been many barriers to getting skateboarding started at Jason Lee, regarding the liability concerns around skateboarding, as well as transportation for students to and from Alchemy’s indoor skatepark facility.” Daniel grew up skateboarding, and finds joy sharing this skill with his students. In the fall of 2017, the team at Alchemy reached out to Jason Lee to use skateboarding as an academic enrichment to middle school students. They believe the foundation of skateboarding, which is embracing failure to reach success, can be a tool students could use towards navigating school, relationships and self growth. Trinity has created an annual tradition of putting together Advent Meditations from contributions of members in the Trinity community. Julia Corbett, our Children, Youth & Family Director has curated a wonderful collection of stories, scriptures and meditations from our community that helps us prepare as an individual and a family during Advent. For a pdf of the collection, please click here. For an Advent Calendar for children, click here. There are copies available in the entryway of the church building, as well. May you experience a blessed advent as you prepare for the Messiah. What Did We Learn at the BNC Summit? After church on Sunday, November 18th, nearly 50 people from the Trinity congregation gathered in the lower level of the church for the Bryant Neighborhood Center Summit. This presentation and conversation offered an opportunity for the Transformational Presence Team to share with the congregation the developing vision, mission, and programming plans for the Bryant Neighborhood Center (BNC). The drafts of the vision and mission statements were written with an eye towards the values of the Trinity Outreach Programs, and the outcomes we aspire to at the BNC. Both statements were well supported. We envision a diverse, connected, and empowered Bryant Neighborhood, with neighbors actively participating in the development of a healthy, just, and sustainable community. Many respondents supported and appreciated the phrase, “neighbors actively participating.” It was also suggested we better define our terminology and scope, though the general consensus was that this accurately represents our vision for the BNC. The Bryant Neighborhood Center serves as a community hub to link local residents with high quality resources, where young minds learn and grow, relationships are formed, and basic needs are met, amplifying residents’ vision for the community. Attendees appreciated the idea of “amplifying residents’ vision for the community,” but some felt that other phrases needed to be clarified. The BNC will be a place for people of all ages, and some of the phrasing needs to be updated to represent that. The Transformational Presence team is excited to continue crafting our mission statement with the feedback we received. The Summit took a look at what programming will be offered once the BNC opens. Trinity’s current Outreach Programs already actively address many needs in our community. When this new space opens, we expect to expand programming and opportunities in our neighborhood. Trinity Outreach Programs currently serve 3,500 people each year. Within the first five years of the BNC, we seek to grow that number to nearly 5,000. Below, see some of our current thinking on how that might impact our current programs. TAP generally serves 10-12 students every year. 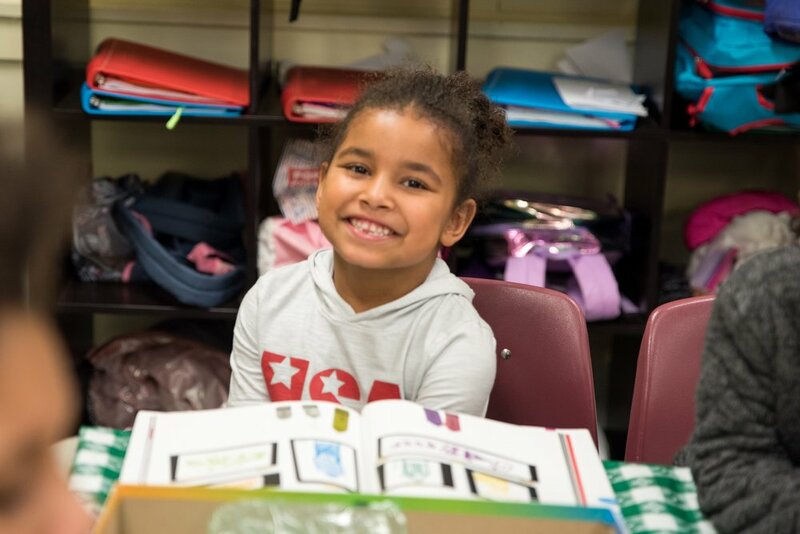 If we want to serve additional students, we might step away from our one-to-one, student to volunteer ratio, find a new way to recruit additional volunteers, or expand the program to serve students with different needs on different days. Whatever happens, we will continue to provide opportunities for involvement and developing relationships with the students and families from Bryant Montessori. The Bobcat Learning Center will continue to be hosted on site at Jason Lee, Monday - Thursday. The classroom spaces and partnerships with teachers and community members serve the program well. However, events like the weekly Friday programming, Spring Break Week, Parent Nights and other special events would benefit from the revitalized space of the Bryant Neighborhood Center. Tony’s Kitchen will continue to offer soup and conversation. Our team of volunteers do an excellent job building neighborhood relationships, and we are excited to see that continue. With our revitalized space, we could potentially expand and host a meal more than one day a week. Our Pat’s Closet leadership is discussing changes to our current model that would focus more on distributing specific, high-need items throughout the year, such as socks, gloves, hygiene items, and coats. Our new space means less room for clothing storage, and this shift is causing us to consider how we might serve our neighbors in even more mindful ways. Pat’s Closet and Tony’s Kitchen will likely continue to operate alongside each other, possibly with an even greater capacity than before. The Clinic will continue to operate at Trinity House each Tuesday evening. After much conversation, the Clinic board determined that the current arrangement works remarkably well for a ‘pop up’ weekly clinic. The BNC will seek to create opportunities in coordination with the Clinic around health education and workshops. While Trinity Outreach Programs are already meeting many needs of our neighbors, the Bryant Neighborhood Center also opens up opportunities for even more investment and intentionality, as well as new programming that could be brought into our neighborhood. One potential opportunity highlighted at the Summit is the Play To Learn program run by the Children’s Museum of Tacoma. In conversations with the Children’s Museum, there is excitement on both sides to see a Play To Learn group potentially hosted in the BNC. The Trinity community was eager to discuss the many opportunities the BNC will afford, and is looking forward to having a bright, open and welcoming space, with a crowd-friendly kitchen to host and care for our neighbors. The list of ideas is as long and diverse as the church members in attendance, and the community we seek to serve. Check out some ideas below! The BNC Summit was one more important step in the process of building and developing the Bryant Neighborhood Center. We are grateful for such a well-attended meeting, with so many enthusiastic and invested members of the Trinity community! Thank you for showing up, sharing your thoughts, and demonstrating how we truly are Here for Good. This year, you can sign up online for your child to participate in Trinity's 2018 Christmas Pageant. The Christmas Pageant will be in the Sunday, December 23rd, 10 AM worship service. Trinity is doing a traditional Christmas Pageant based on the Gospel birth narratives. Actors with lines and without are needed, as well as readers, dancers, and musicians. The only rehearsal will be Saturday, Dec 22nd, 9 am-12 noon. Younger children with smaller roles come in for only 1 hour. This reflection is written by Kyle Bradshaw, Trinity Youth Ministry Coordinator. Peering around the circle where we stood at Venture Apartments in South Tacoma, the students wore visible signs of the hard work they had just completed: blue latex gloves from picking up trash around the complex, dirty knees from raking and stooping in the dirt to pick up leaves, and mustard smears on sleeves from our sandwich assembly line at Nativity House earlier in the day. Justin Mootz, our host for this second and final stop in our day of service stood across the circle from me and introduced us to one of the tenants of the apartments and a friend of the Mootz’s. Justin asked her questions and translated for us from Spanish explaining that she had been awake for over 36 hours, working several different jobs in order to provide for her family. Then she began to pray for our team and gave us a blessing. I was humbled and amazed at the generosity within this woman. She had been working nonstop and rather than coming back and going straight to bed she took the time to meet with our group and bless us. At the same time learning propels us towards service. Justin and Amanda Mootz invited us into their apartment to teach us about many of the challenges people living in poverty face in their community. With this new knowledge fresh in our minds we stepped outside to try and make the apartment a little bit more of a beautiful place. I’m proud of our students for raking leaves and wearing mustard on sleeves and for their commitment to service-learning. Trinity Presbyterian Church is excited to announce their participation in this year’s Cascadia Worship & Arts Residency program, run by Fuller Seminary Northwest. 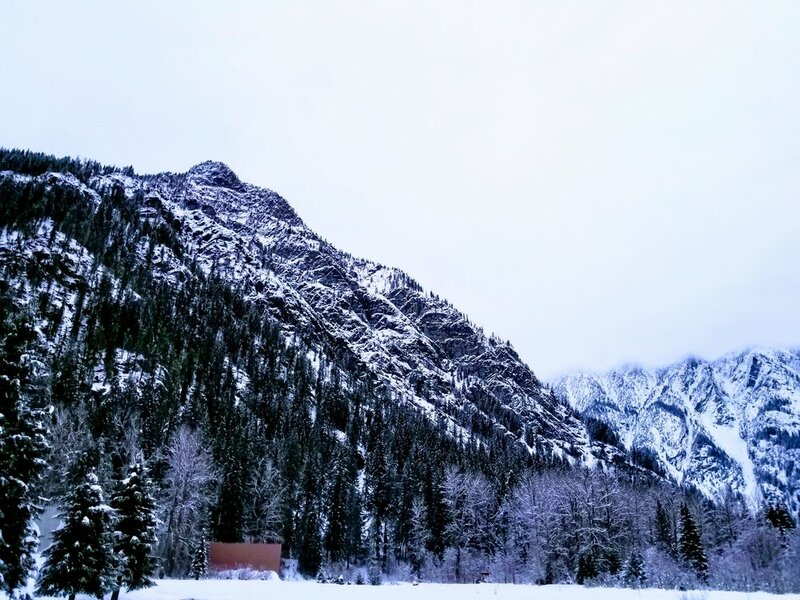 The goal of the Cascadia Residency is to deepen the connection between artists and the worship life of the church. Paul & Lisa Duke will act as Trinity’s delegate with Paul serving as an "artist in residence", bringing his gifts in theater, and Lisa helping to gather other artists. The program involves a series of short retreats where Paul & Lisa will gather with artists and congregational leaders from other churches along the I-5 corridor from Vancouver BC to Portland. While in academia, Carol McLaughlin began to question her calling. Academics or ministry? She took her thoughts and questions to her pastor, Rev. Matt Robbins-Ghormley. Thus began a five year journey which recently culminated in the Presbytery of Olympia certifying Carol as ready to submit her credentials to churches seeking a pastor. Bev Hatter, Carol's Session representative at Trinity, reflects on her walk with Carol down this beautiful and difficult path. One of the perks of serving on Session is the opportunity to walk with a candidate for ministry in their journey to realizing their call. Five years ago, Carol McLaughlin was pursuing a doctorate in religion at George Fox Evangelical Seminary (now Portland Seminary) while teaching religion classes there. Carol had been undecided about whether to continue teaching or to apply to the Committee for the Preparation of Ministry (CPM) through the Presbyterian Church. She loved the academic challenge and richness of the teaching profession but wasn’t sure which path would better use her unique gifts. I was given the opportunity to serve as Carol’s Session liaison with the CPM while Carol went through the process of readiness and discernment. The ordination process is lengthy and demanding. In addition to the educational component of completing a Master in Divinity degree, there are written exams in the areas of Bible content, theology, Bible exegesis, polity and worship and sacraments. It is necessary to complete a psychological evaluation, submit character references, complete a unit of Clinical Pastoral Education and meet for regular consultations with the CPM. All the while, her faith and commitment were growing and changing and challenging. Carol was well prepared to meet many of the challenges of the ordination process, however there were unplanned obstacles and events that occurred in her life. In a very short span of time Carol and her family experienced the deaths of her father-in-law and brother-in-law, the serious car accident of her elderly mother-in-law and the premature births of twin grandchildren. Any one of these difficult experiences could have derailed Carol’s process. Because of her maturity, faith and resilience, Carol took the time to care for self and family while she persevered in the process of her faith walk. The CPM has recently approved her as a Certified Candidate for Ministry within the PC(USA). Carol is now invited to present her credentials to churches seeking a pastor. I am grateful for this opportunity to sojourn with Carol while representing Trinity in its support of a highly qualified candidate for the ministry. Please pray along with me as Carol faces her next steps in discerning her call.